The Sunset is a low consequence beginner feature that focuses on skill development and trail feature understanding. 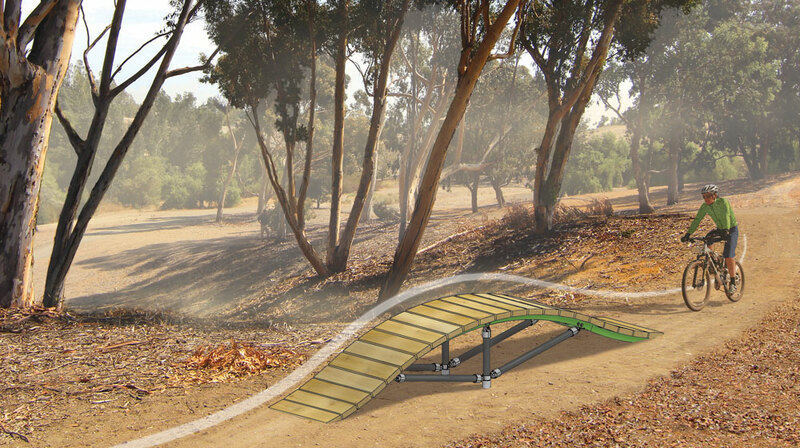 Users can pump over the Sunset to generate speed or simply ride over reinforcing bike control. Medium - Height: 1' 11" / Length: 11' 7' / Width: 1' 6"
Large - Height: 2' 9" / Length: 14' 6" / Width: 1' 6"